The result of the March 2018 Medical Technologist Board Exam Result showing the list of passers, Top 10 Passers, and Top Performing and Performance of Schools will be posted here after released by the Professional Regulation Commission (PRC). The Licensure Examination was given on March 14 and 15, 2018 at different testing centers in Manila, Baguio, Cagayan de Oro, Cebu, Davao, Tuguegarao, and Zamboanga. The official result will be released from 3 to 4 working days after the examination. 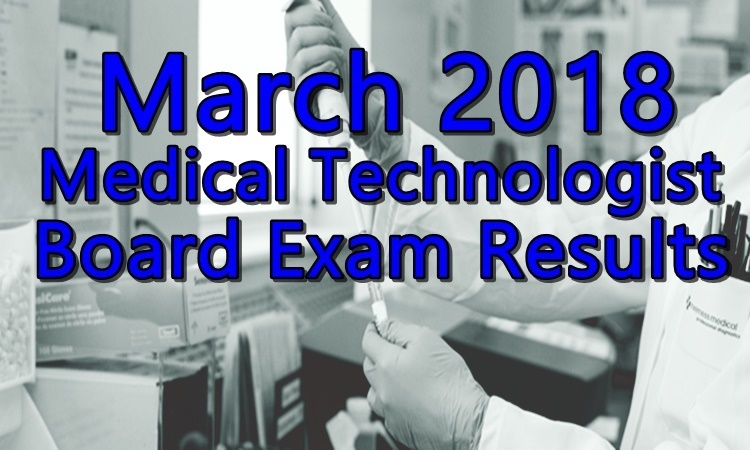 The results of the March 2018 Medical Technologist Board Exam may be released earlier or later without prior notice from PRC.